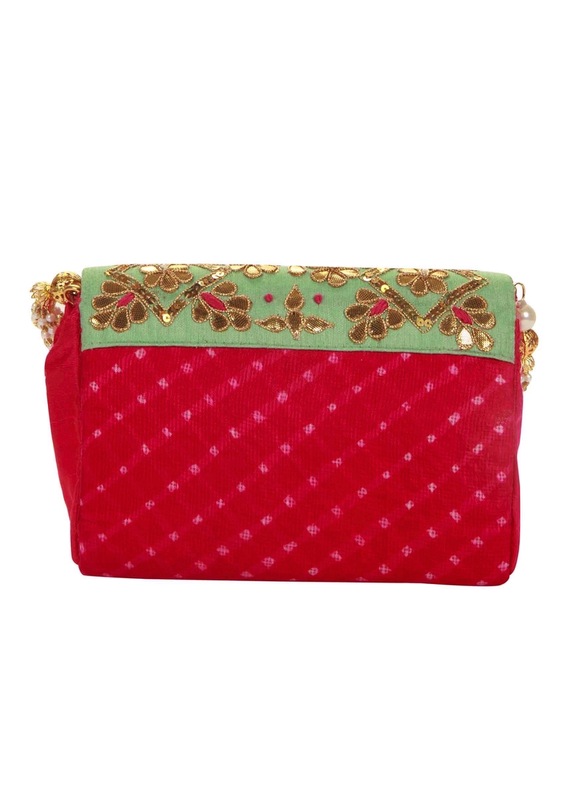 Turq and pink clutch in silk base. 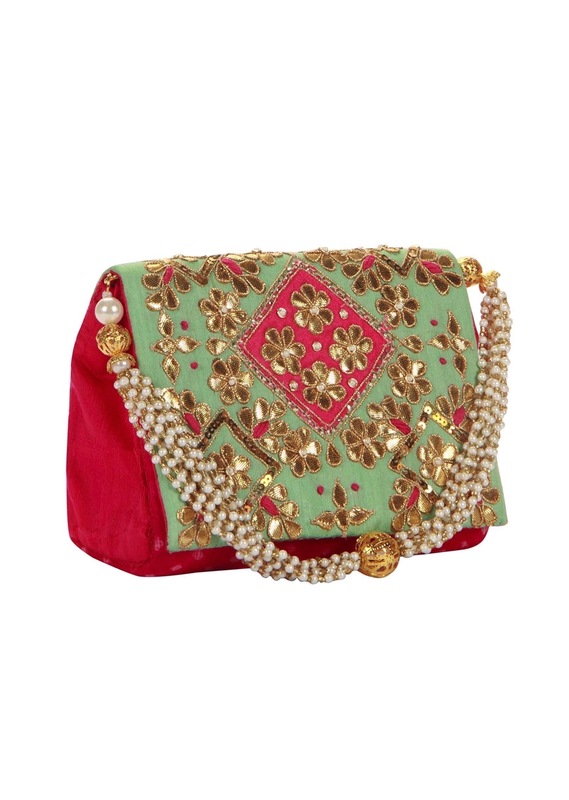 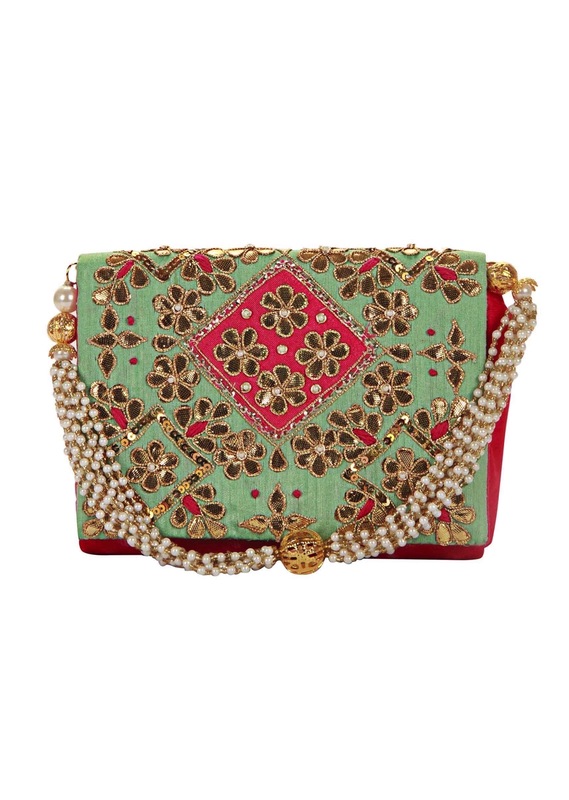 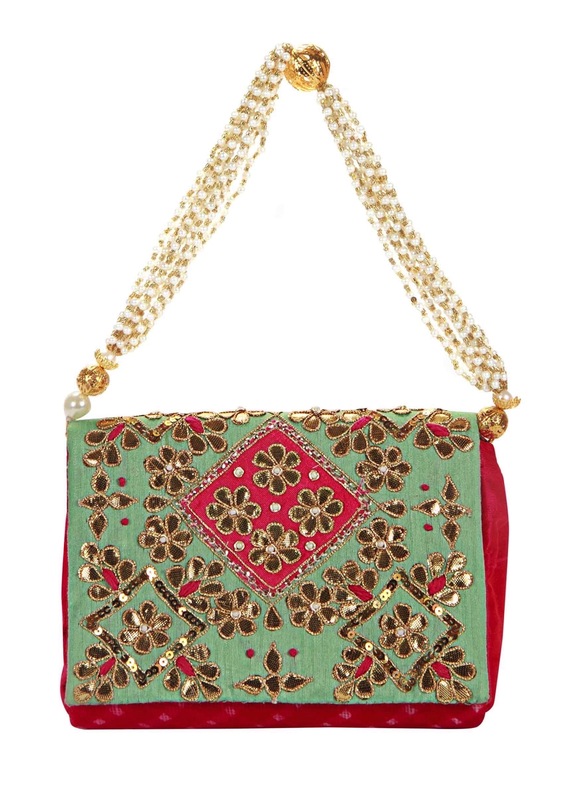 Its flap is embellished in gotta patch embroidery with zari. Comes with white beaded chain Accessories are non-refundable.